Being the biggest National Park in the Canadian Rockies means there’s lots to see in Jasper. A hike isn’t a bad idea. Rafting is a good way to see the wildlife. You could try enjoying downtown. Or, you could carefully organize all those amazing activities into THE PERFECT DAY! Are you up to it? You’ll want to get into Jasper the night before. If possible take the Icefields Parkway from Banff to get there. It’s one of the most beautiful drives in the world. Anyways, you’ll stay at the Alpine Village. 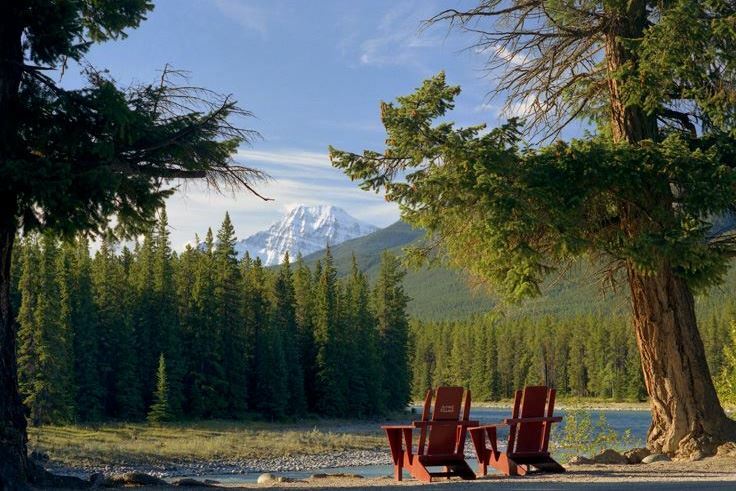 This cabin resort is across form the Athabasca River and many of the cabins have amazing mountain views right from their patio. Fireplaces are available in nearly every cabin. We wouldn’t want to stay anywhere else. When you wake up in your charming cabin, head to Snowdome Coffee Bar. They open at 8 a.m. and we recommend getting there as close to that time as possible. You have a full day of activities. Everything at Snowdome is made fresh in house daily with natural ingredients. Once you’re fuelled up, you’ll head to the trailhead. 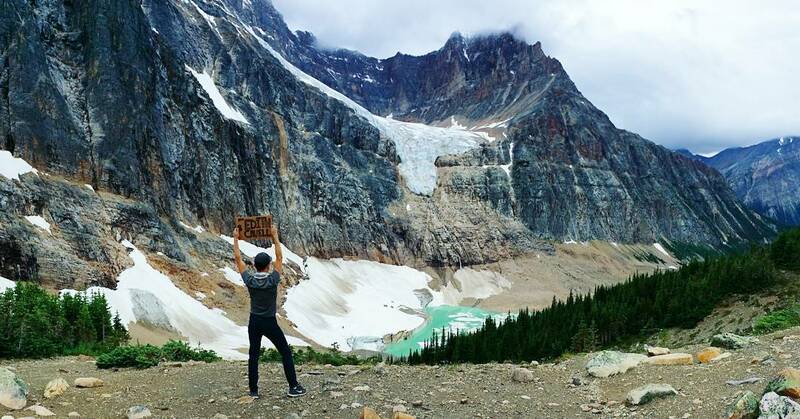 Your hike will be through the Cavell Meadows. It’s a 2-3.5h hike that takes you through some alpine meadows with great views of the Angel Glacier. There is also an option to summit a nearby peak. With a new found appetite you’ll go for lunch. Patricia Street Deli is what we’d recommend. It’s a local favourite. Whatever you get make sure it has some of their curry mayo sauce! You’re next adventure is on the river. 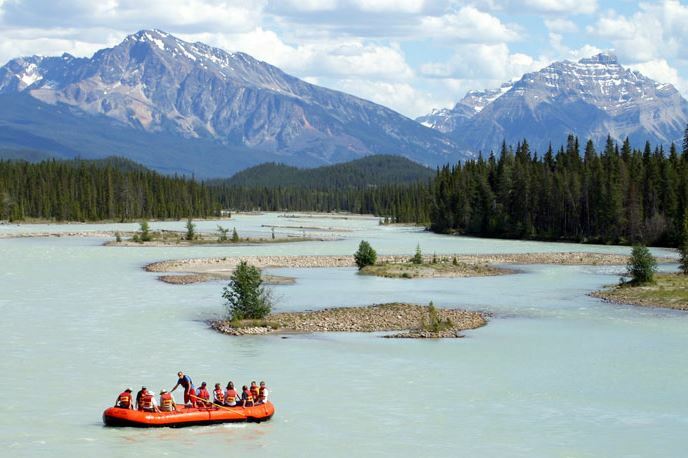 Book the 2:30 p.m. trip from Jasper Rafting for an epic experience. The trip will no doubt be amazing. It’s fine for any skill level.  All their guides are highly trained and certified. You’ll want something to relax with after that heart pumping adventure. 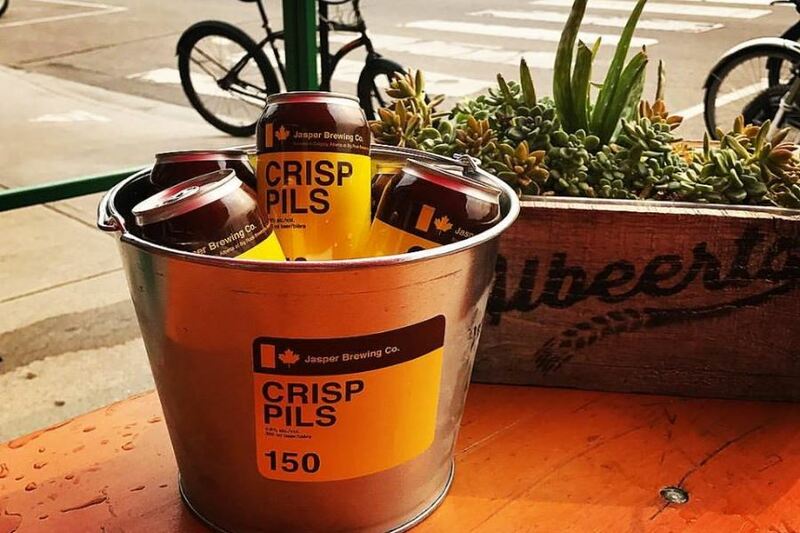 How about a locally crafted beer? Jasper Brewing Co makes a great beer. We recommend their Blueberry Vanilla Ale if you want something unique. A great meal is the best way to cap off such an amazing day. Our restaurant pick lets you soak up as much park as possible. Orso Trattoria has an AMAZING patio and great food to boot. This Italian Fine dining experience, situated in the Fairmont Hotel, is truly remarkable. It’ll leave you contented to no end: a perfectly satisfied stomach and a perfectly crafted day. Find how to plan your perfect day in these 10 stunning mountain locations! If you want to find 10 best hikes in Jasper National Park, please click here!